There is significant credible research evidence to support the claims that deer antler velvet, also called velvet deer antler (VDA) can provide numerous benefits including increased vitality, improved cardiovascular health, mood enhancement, anti-aging benefits, and that it is a very effective strength and training aid. However, such benefits appear dependent upon the quality and type of antler used as well as the methods employed during processing. Each part of the antler contains different compounds with a variety of properties. However, many manufacturers only use the lower calcified portions of the antler, which are considerably cheaper to purchase than the upper sections, but also contain significantly less cartilaginous tissue. VDA processed in whole form appears to provide the widest selection of chemical compounds associated with the benefits claimed in the research cited. Several studies indicate that heating can reduce or destroy the beneficial properties of velvet antler. Therefore, it is vital to ensure the product is not heated during processing. However, many manufacturers of low-grade products burn the velvet portion of the antler off before processing, because it's less labor-intensive than non-heat-producing methods. Some widely-used grinding methods may also produce heat, reducing the effectiveness of the product. Because of its dried properties, it is not prone to contaminates such as yeast, molds, chloroforms, E. coli and salmonella. However, standards outlined by the North American Elk Breeders Association, and practiced by premium processors, recommend laboratory testing to ensure sanitation of the product. Today the antler velvet trade remains strong in Asia, with China producing nearly 100 tons of dried velvet antler annually. It is also an important crop in Russia with significant exports to Japan, Singapore, Hong Kong and Thailand. However, New Zealand antler velvet is prized throughout Asia because it is considered by many to be more potent than the more commonly available deer antler. Velvet antler products available to people in Western societies are generally sourced from deer that are managed on farms according to strictly controlled quality assurance guidelines that ensure all requirements for animal welfare and husbandry are maintained at acceptable standards. 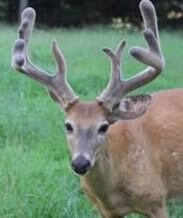 The process of harvesting deer velvet takes place on regulated farms using correct handling and velvet removal techniques. 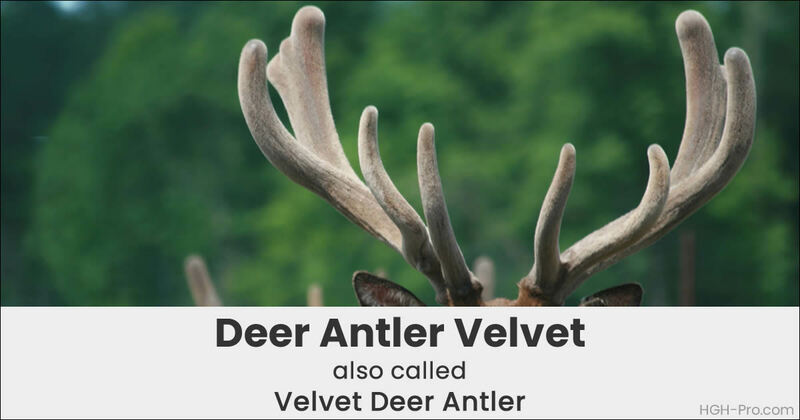 The velvet is removed from male deer each year by registered veterinary surgeons or people accredited by the National Velvet Accreditation Scheme using proper anesthesia to prevent pain or stress. Within hours after the procedure the deer are back grazing on open pasture lands. Studies have been done by animal behaviorists to ensure the process does not cause injury, pain or stress. As velvet is a health substance it is handled and stored in a hygienic manner. 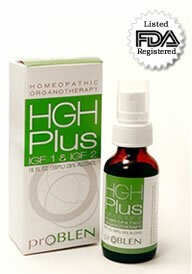 Our FDA registered ProBLEN HGH Plus IGF-1 & IGF-2 contains the highest quality New Zealand deer antler velvet along with U.S. pharmaceutical grade human growth hormone, IGF-1, IGF-2, alpha GPC, pituitary extract, and liver extract in a safe and effective homeopathic formulation. Compare this product with any other. Once you compare the ingredients and our unequaled clinical study results we think you will agree it is your best choice. Great For Bodybuilders and Athletes!